Hague Dental are proud to have been supporting the Simply Bright Practices for over 10 years with a full range of services from surgery / practice design, installation and on-going support and service. “Hague Dental has been involved in assisting the setup and maintenance of many of my dental practices. 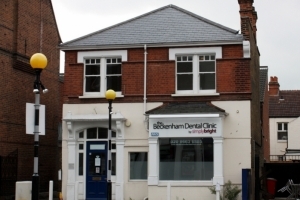 The team comprises a whole array of skilled professionals who understand what is needed to design and maintain a user friendly/safe working dental environment. In all of my projects, installations have been prompt and well organised which is also a trait of the after sales service that Hague Dental provide. I have always felt that as a customer, my concerns have been addressed appropriately and have always been supported by the whole team.